Extensive outpatient and residential programs for developmentally-disabled adults. 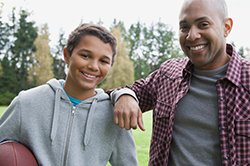 No fee is required for counseling or the after-school program for adolescents aged 5-21. BUILD provides at-risk youth with the tools and opportunities to resist violence and become productive citizens and leaders in their communities. Activities occur during weekends, school vacations, and after school. Activities are held in community partners’ facilities (e.g., schools, park districts, churches, human service agencies). They also serve Cook County youth through their rehabilitation program in the Cook County Juvenile Temporary Detention Center. Chicago’s largest independent, locally-based, multi-site youth development agency. Offers programs that help parents gain confidence and competence as the primary educators of their children. Over 25 different locations, including Calumet, Midway, North Chicago, and Southeast Chicago. Has developed over 350 units of affordable housing, given hundreds of financial education workshops, and helped close over 800 mortgage loans. Has trained hundreds of community leaders in formation sessions who are working for social change at all levels. Programs focusing on community building engage youth, their families and the community at large in activities that benefit the lives of young people.